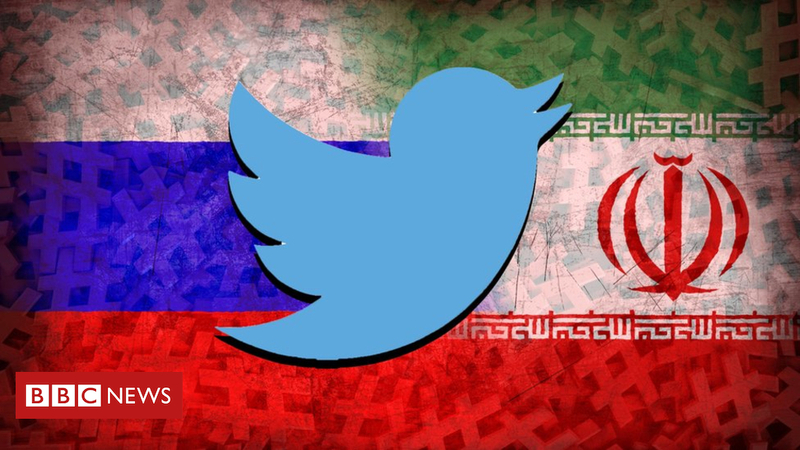 More than 10 million tweets posted by suspected state-backed Russian and Iranian “troll farms” have been shared online by Twitter. It has published more than 360GB of material to aid studies into how its platform has been used to try to influence the public. The messages were posted from 2013 to 2018 and include references to the US presidential election and the UK’s EU referendum. In total, 4,570 accounts were involved. Early analysis by the BBC’s data journalism team indicates the word “Brexit” was mentioned in 3,789 tweets linked the Russian Internet Research Agency (IRA), nearly all of which were published on the day of the vote or afterwards. In February, Twitter told a House of Commons committee it had identified 942 Brexit-related tweets posted by suspected IRA accounts over the course of the entire campaign. The BBC understands Twitter’s figure included only original messages and not retweets, which the social network believes accounts for the disparity. In any case, the Brexit-related posts represent a small fraction of the Russian-linked account’s overall activity. The Atlantic Council, a US think tank, was given early access to the data trove and has published insights of its own on the news site Medium. It says the tweets from the two troll operations had the most pick-up within the US but much less influence on public debate elsewhere. “One main purpose was to interfere in the US presidential election and prevent Hillary Clinton’s victory but it was also aimed at dividing polarised online communities in the US, unifying support for Russia’s international interests and breaking down trust in US institutions,” wrote the authors. They added that of the two state-backed campaigns, the Russian effort appeared to be more focused on inflaming already polarised communities and would tweet on both sides of an issue. The Iranian campaign, they said, appeared to have been more focused on spreading its own government’s messages via links to sympathetic websites.